Recognised as one of Australia’s boldest and bravest artists, Blasko has carved her own path within the industry. Blasko’s integrity and artistic temperament have seen her consistently push creative boundaries; working with filmmakers, theatre productions and visual artists along the way. She has received numerous accolades for her three platinum-selling works ‘The Overture & the Underscore’, ‘What The Sea Wants, The Sea Will Have’ and ‘As Day Follows Night’, having received 14 ARIA Award nominations, including wins for Best Pop Album and Best Female Artist along with triple j’s 2009 J Award for Australian Album of The Year. 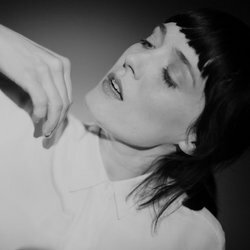 Emotive and captivating - words synonymous with Sarah Blasko and now, new single ‘Fool’. Never one to shy away from artistic interpretation, Blasko entrusted Sydney peers PVT and Seekae with singles ‘I Awake’ and ‘Fool’. The fruits of their labour are realised on the Fool EP - out November 15. Copyright Holder's Name Dew Process/Universal Music Aus.